Roo’s Restaurant on Frankel Avenue, Siglap | Is Life a Recipe? OK I have had two major recommendations to visit this place for food. Apparently open since January, having taken over from Jag’s, initially just selling drinks but now rather cool mixed bag restaurant too. The menu is quite large and aa mix of Western and Indian food style. Big screens for sport and leather loungers, awesome. This is Roo’s Restaurant on Frankel Avenue, Siglap. This place is a gem. This is a MUST try on East Coast, or the whole of or Red Dot if you’d rather. The food is insane, like off the charts good. Thanks to @AJ and @Cath & John Blowers for the recommendation. You were mentioned to Roo and husband, and of course we bumped in to @Cath and John when we went for our dinner this day. You MUST come to this place. It really is a MUST try. We’ll be coming back again and again believe me, it truly was that good. 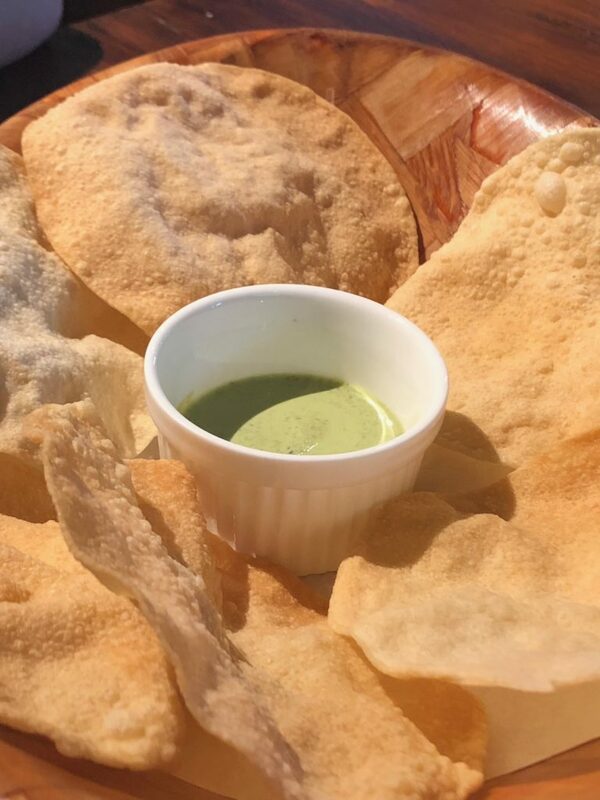 I’ll tell you the reasons now you simply have to come to Roo’s Restaurant on Frankel Avenue, Siglap. This would be the very best lamb tandoori dish I have ever had in my life. 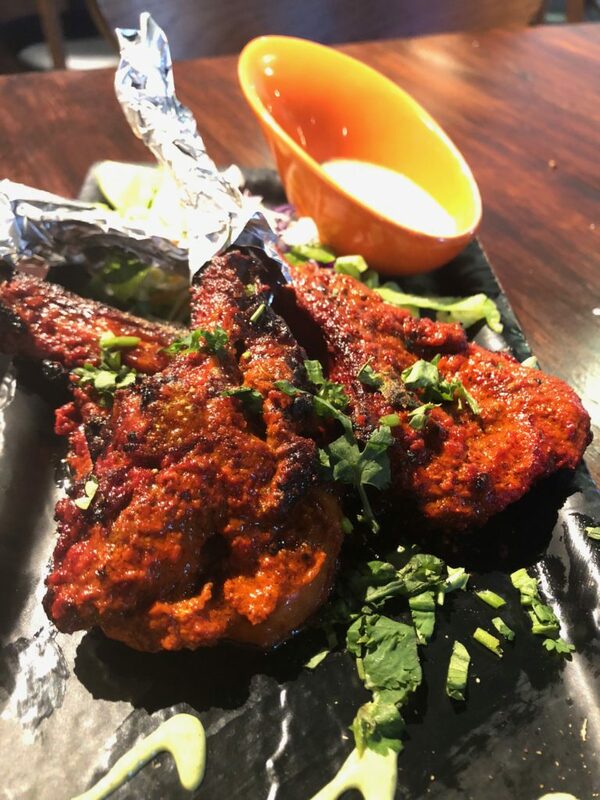 We ate recently at Saffron, which is in the Michelin guide and Roo’s is seriously 100% better than that. This dish is INSANE. It’s so so good. So juicy, soft, perfectly cooked and perfectly spiced. It had me spinning back to the previous best ever in Penang, but now the best is round the corner. If you don’t have this when you visit Roo’s you should be shot. It is totally OFF THE CHARTS!!! 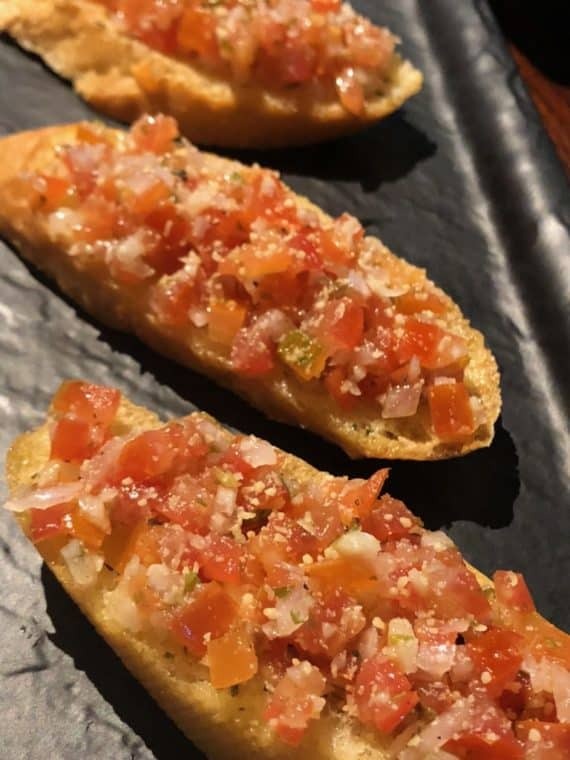 Bruschetta for Amy. Separate Chef for the Western dishes. Again spanking food, so so delicious. Fresh as. I think some cheese in here too. Very very good. 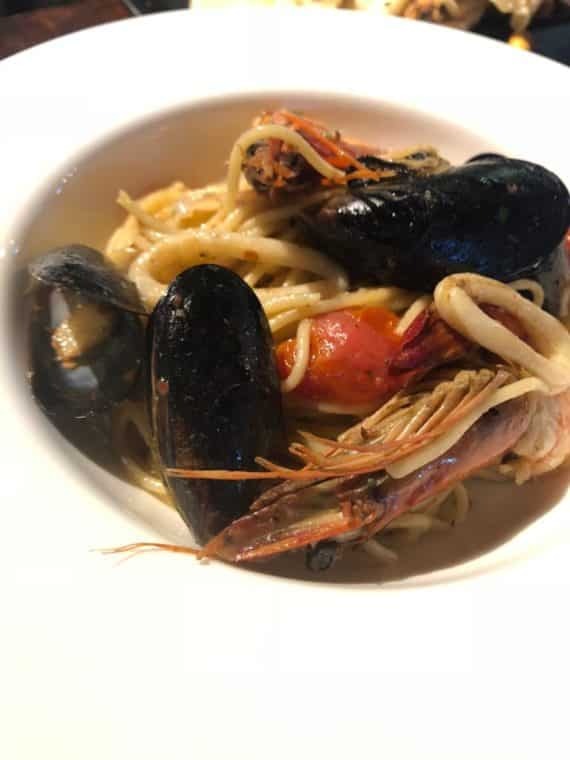 Seafood Aglio Olio for BeBe, which was given a massive thumbs up and was devoured in the blink of an eye. Love the fact that there is no scrimping on the shellfish additions. Good work guys! 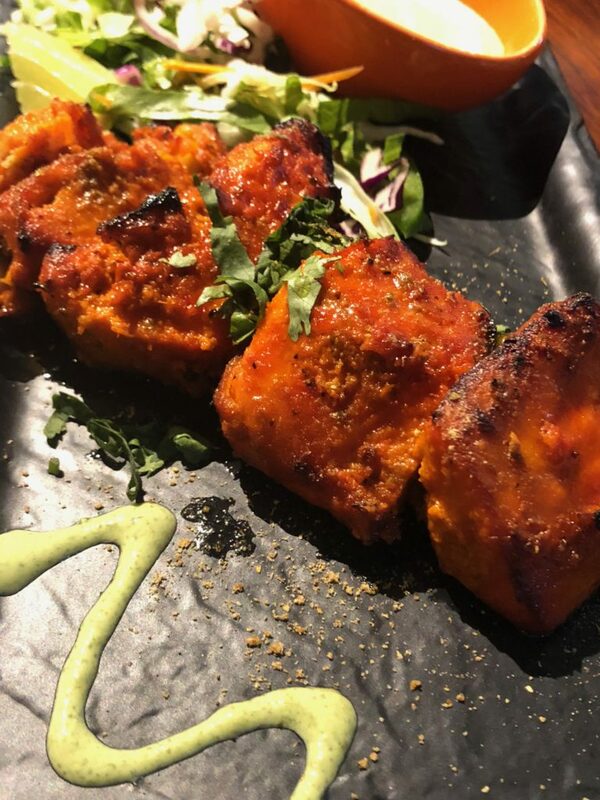 Mary’s Amritsari Fish – she said slightly sour tandoori, but she said it was the best Indian fish tikka dish she has ever had in Singapore. Believe me that is saying a lot as Mary is very very picky re her fish. ooohs and aaaahhhs were coming continually as she wolfed this down. Stunning look and clearly stunning taste! 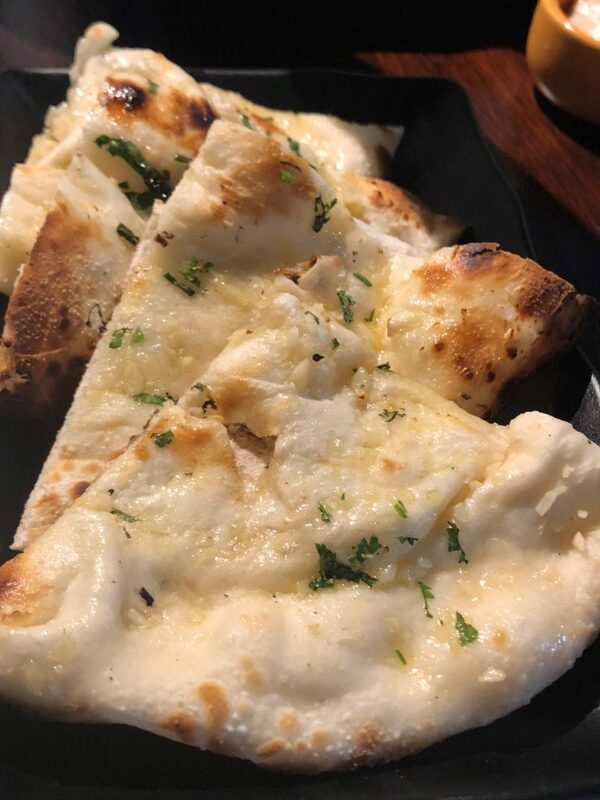 Again – we are rating this Naan as the very best Naan ever. Creamy, ghee buttered and some chopped garlic to boot. Crispy crunch and gooey inside. Just bonkers good! Perfect popa’s too at Roo’s. No BS even the bloody peanuts are stellar. 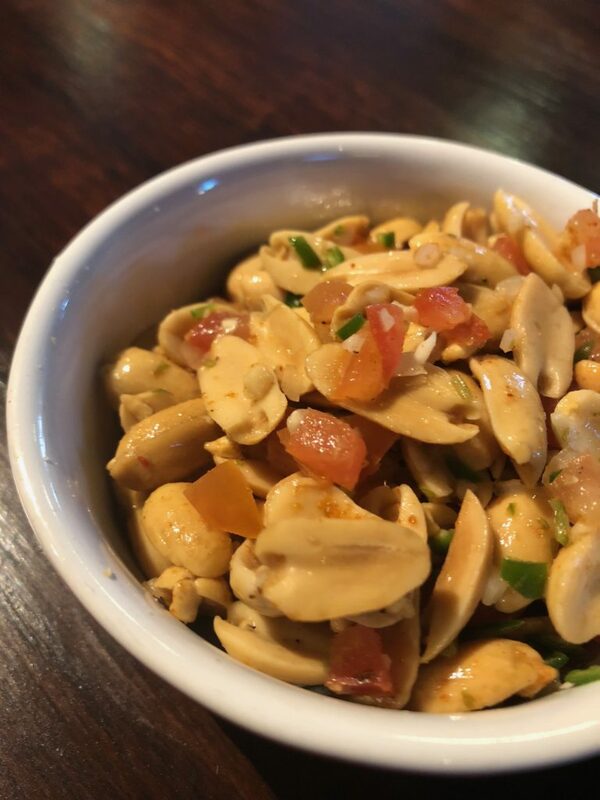 This is the salted peanuts, with salsa, garlic and chili. Grab a beer with this and you will be in heaven. Crazy good! Sensational! 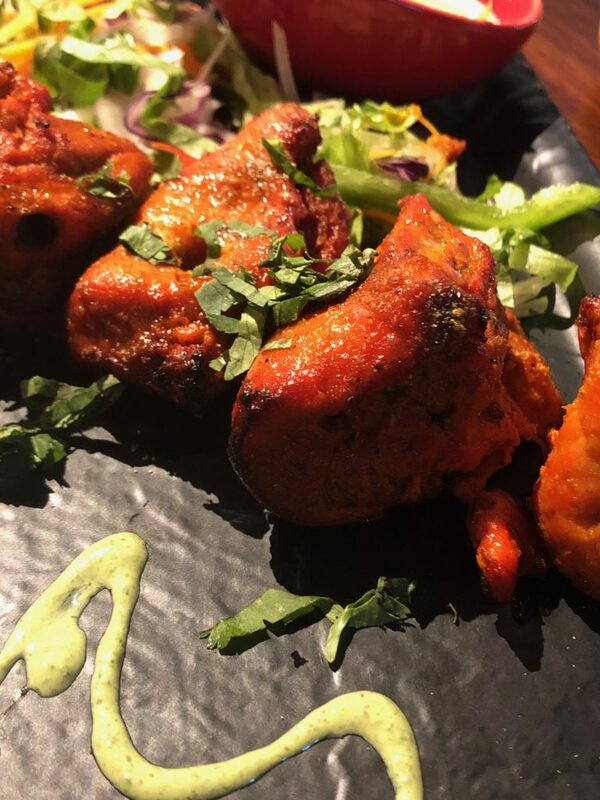 Best chicken tikka tandoori EVER. I know I keep using the word insane in this blog, but believe me the food is just out of this world. Roo’s knocked this dish out of the park. Best ever. Compliments to Roo and the Chef. Bloody amazing! 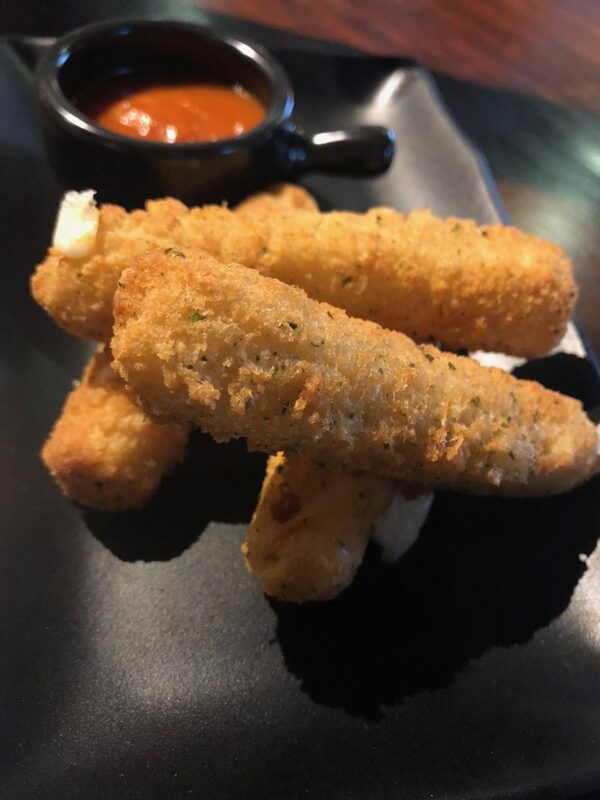 Even the mozzarella sticks were crazy good. I am certain these are home made, as the herb mix in the crust was so so unique. Again great work Roo’s. Wow! There you have it. A truly incredible first experience at Roo’s Restaurant on Frankel Avenue, Siglap. Mary and I could not stop talking about the food. We didn’t even order the lamb to start, but after the fish and chicken dishes we had to compare. We just had to. That lamb is just bonkers good. You have to, have to try it. Incredible. Go say hi to Roo. Probably you’ll us in there too, along with AJ, Cath, and john. Bloody brilliant to have this on our doorstep now. A new favourite haunt. Get your bum here ASAP as I guarantee if you do come to eat here you will – ENJOY!!! No Replies to "Roo's Restaurant on Frankel Avenue, Siglap"